Casa Jervois is an exclusive low rise development with 31-unit apartments located along the quiet and serene residential area at Jervois Road. Surrounded by lush greenery, Casa Jervois is your perfect escape after a long day of work. Apartments at Casa Jervois have spacious living and dining and a small balcony. 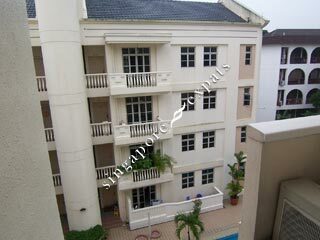 Casa Jervois is located within 15-minutes walk to the Redhill MRT Station. It is accessible by public transport such as taxies and buses and is about 5 minutes by car to Orchard Road and Singapore’s Central Business District. Major expressway like the Ayer Rajah Expressway (AYE) and Central Expressway (CTE) are also located nearby. Casa Jervois is near to good eateries and amenities along River Valley Road. Malls like the Valley Point and Great World City is also within walking distance. Quiet and serene , love looking at the bungalows.